Activision Blizzard (NASDAQ:ATVI) have released their Q3 results for the fiscal year ending December 31, 2018, and it was a solid three months for the mega publisher. Nevertheless, the company’s stock still dipped over 8 percent in after-hours trading. During Q3 Activision Blizzard brought in revenue of $1.512 billion, which was down from $1.618 in Q3 2017, but above the company’s forecast of $1.490 billion. Net Income was $260 million, up from $188 million the year before, largely due to a $48 million income tax benefit. Earnings per share were $0.42, above the company’s outlook of $0.37, but below analyst forecasts of around $0.50 per share. Activision Blizzard’s solid performance in Q3 can be chalked up to the release of the World of Warcraft: Battle for Azeroth expansion and the continued strength the company’s King mobile division, which mostly focuses on keeping the Candy Crush money printing machine running. 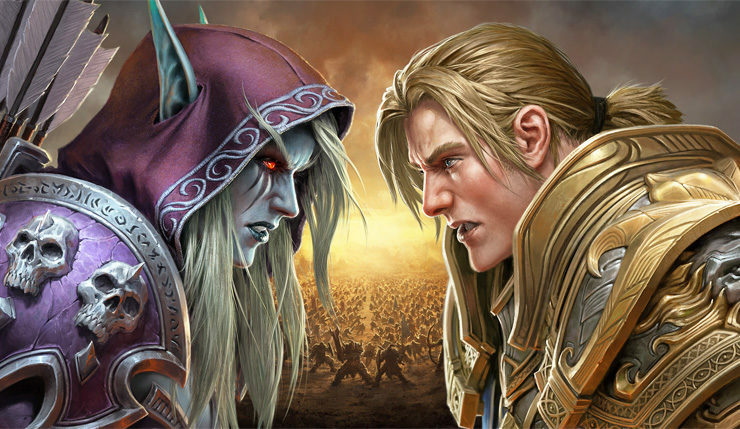 Battle of Azeroth sold over 3.4 million copies on its first day on sale, resulting in $635 million in revenue from the Blizzard division in Q3. Meanwhile, King brought in $506 million in revenue. News was less sunny from the Activision portion of Activision Blizzard, which only brought in $397 million in revenue during the quarter. The blame for this can be placed at the feet of the Destiny 2 Forsaken expansion, which “did not achieve [Activision’s] commercial expectations.” Per Activision Blizzard president Coddy Johnson there is “still work to do to fully reengage the core Destiny fan base.” Destiny 2 has struggled to live up to fan and publisher expectations right from launch, and it will be interesting to see whether Bungie can ever fully rehabilitate the game. With the release of both Call of Duty: Black Ops 4 and Candy Crush Friends Saga in October, Q4 should be a lucrative one for Activision Blizzard, and indeed, the company is expecting revenue of $2.236 billion, up from $2.043 billion for the same period last year, and earnings per share of $0.43. For the full 2018 fiscal year, the company is expecting to bring in $7.355 in revenue, which would be an increase from the $7.017 billion they brought in last year. Despite this seemingly-strong outlook, the stock fell from $62.81 to the mid-56-dollar range in afterhours trading. It isn’t entirely clear why investors were spooked – they may be concerned that Acti-Blizz’s total active users dropped from 352 million to 345 million, the third quarter in a row that key figure has declined. Or maybe investors were just expecting more from the combination of Call of Duty and Candy Crush. “Mobile remains the largest and fastest growing platform for gaming in the world and while King is a clear leader in mobile, we’re still investing in Activision and Blizzard franchises for mobile releases. For example, Activision is collaborating with Tencent on Call of Duty mobile, taking the biggest action franchise of last two decades to the largest gaming market in the world. 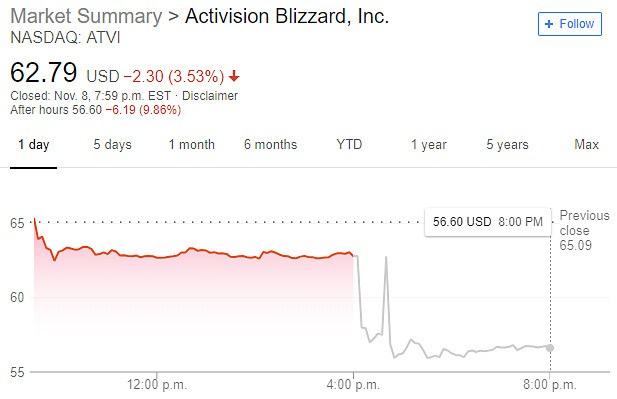 With franchises with Call of Duty, World of Warcraft, and Candy Crush under its belt, Activision Blizzard ought to remain a reliable money-maker for years to come. That said, the gradual decline of the company’s player base and their inability to sell their new mobile-focused direction to their investors are causes for concern. There are, perhaps, some chinks starting to show in Activision Blizzard’s previously-impervious armor, but no true cracks have formed yet.